TUBERCULOSIS This is the prompt slide for the TB Therapy section. 1 TUBERCULOSIS This is the prompt slide for the TB Therapy section. This presentation will be presented at the local level by an Infectious Disease Practitioner or Pulmonary TB Control Officer. The Objectives of this presentation are to provide the attendees an understanding of the therapies used to treat TB and adverse events. The presentation is scheduled to be 30 minutes to include time for questions to be asked. Answers to some questions during the sessions may not be possible (time limitations or technical clarification needed). In such cases the speaker should request that the attendees write the question down and provide their FAX number, so that an answer to their question can be provided later. The opening statement should emphasize that prompt and efficient treatment of active tuberculosis is a key element in the prevention of spread of TB infection. 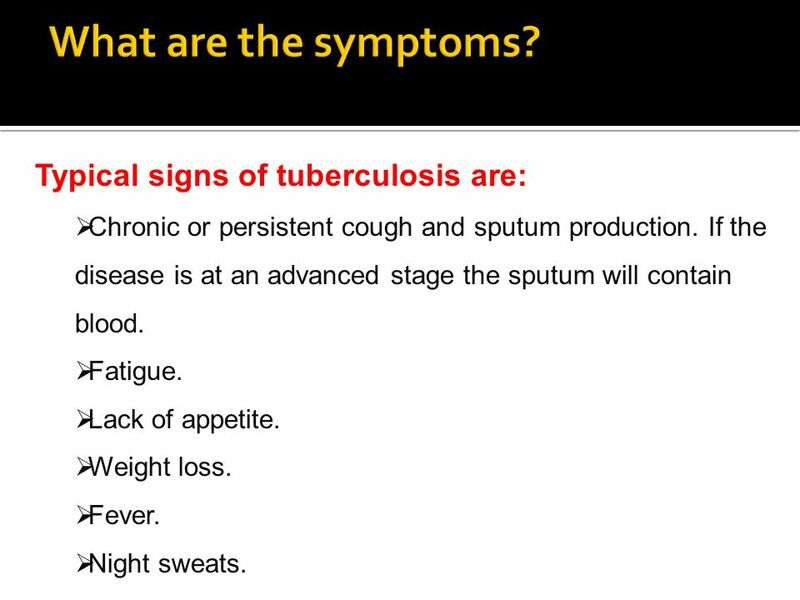 2 What is tuberculosis? Tuberculosis is a disease caused by an infection with the bacteria Mycobacterium tuberculosis. Chronic or persistent cough and sputum production. If the disease is at an advanced stage the sputum will contain blood. Fatigue. Lack of appetite. Weight loss. Fever. Night sweats. 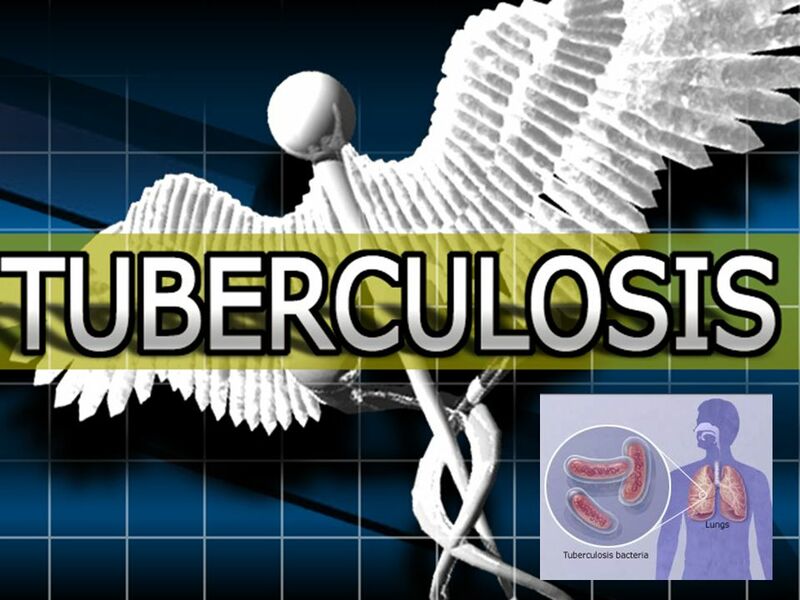 5 How is tuberculosis treated? 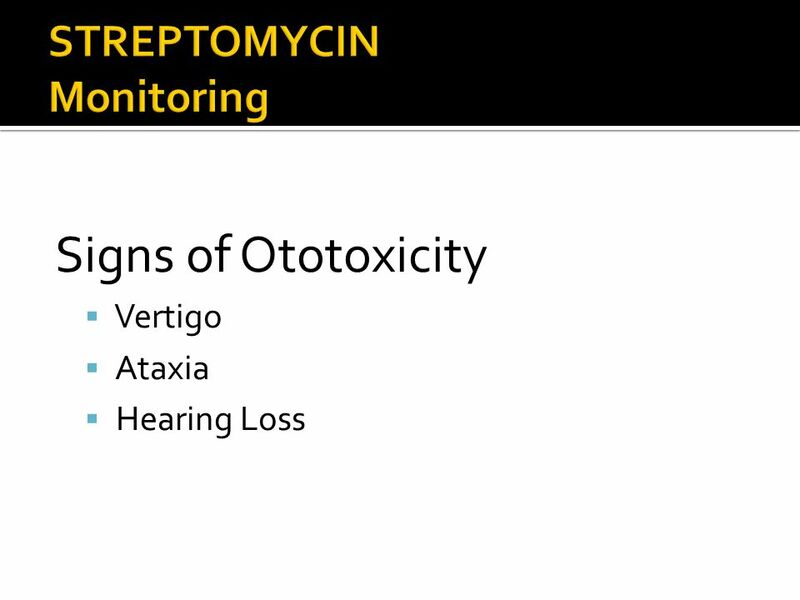 Today, treatment involves three or four different kinds of antibiotics given in combination over 6 to 12 months. Multiple medicines are necessary to prevent the emergence of resistance, which would lead to treatment failure. The main cause of treatment failure is non-compliance with what is perceived as a demanding and prolonged programme of therapy. 6 TB TREATMENT PLAN For positive culture do susceptibilities and report results to Health Department begin taking four medications — isoniazid, rifampicin , ethambutol pyrazinamide and streptomycin . 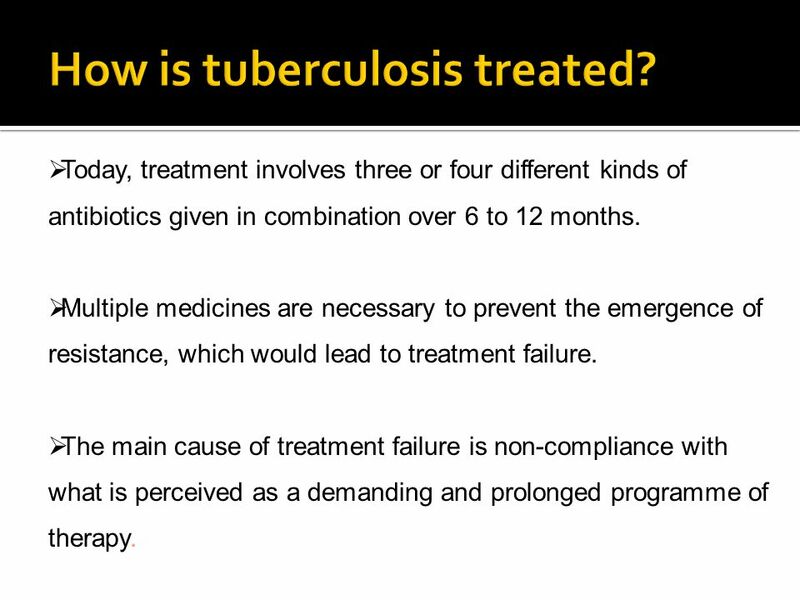 The standard "short" course treatment for tuberculosis (TB), is: isoniazid, rifampicin, pyrazinamide, and ethambutol for two months, Then isoniazid and rifampicin alone for a further four months. 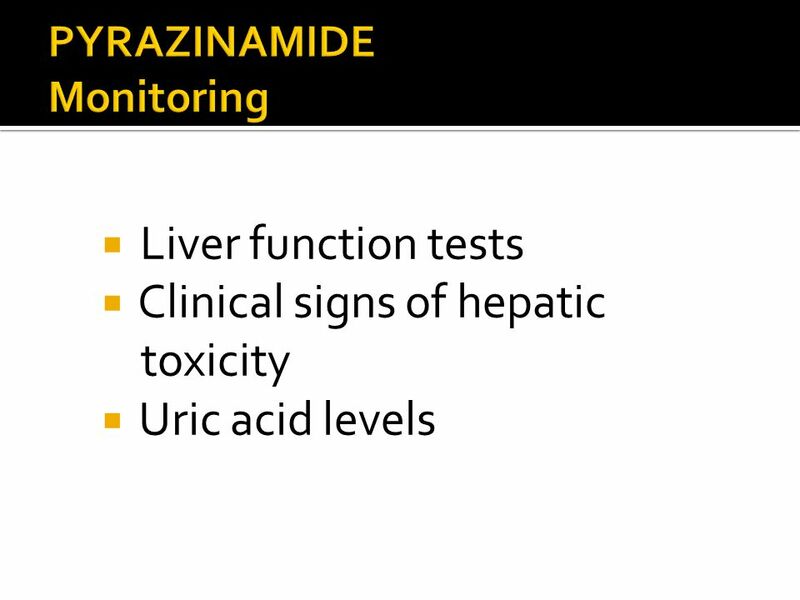 This regimen may change if tests later show some of these drugs to be ineffective. This defines initial treatment. The abbreviations are as follows: CDC = Centers for Disease Control and Prevention, ACET = Advisory Council for the Elimination of Tuberculosis, ATS = American Thoracic Society, INH = isoniazid, RIF = rifampin, PZA = pyrazinamide, EMB = ethambutol, SM = streptomycin, and DOT = directly observed therapy. A study by Burman et al published in Chest July, 1997 addressed the cost of DOT versus self-administered therapy by pointing out that “despite a greater initial cost, DOT is a more cost-effective strategy because it achieves a higher cure rate after initial therapy, and thereby decreases treatment costs associated with failure of therapy and acquired drug resistance”. 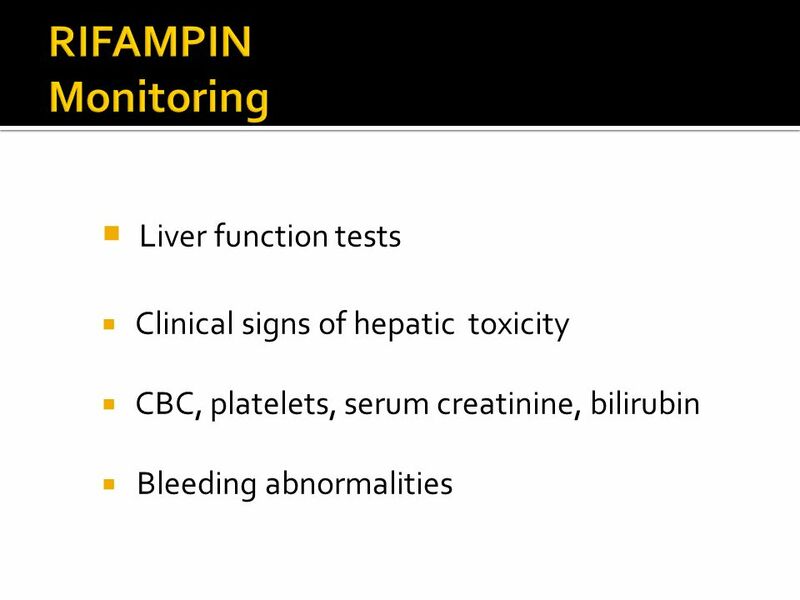 Hepatitis Peripheral neuropathy Lupus Hepatitis is a particular problem if doing mass PPD skin test screening and preventive therapy in low risk groups since there would be the probability of risking hepatitis in people with false positive PPD skin tests. 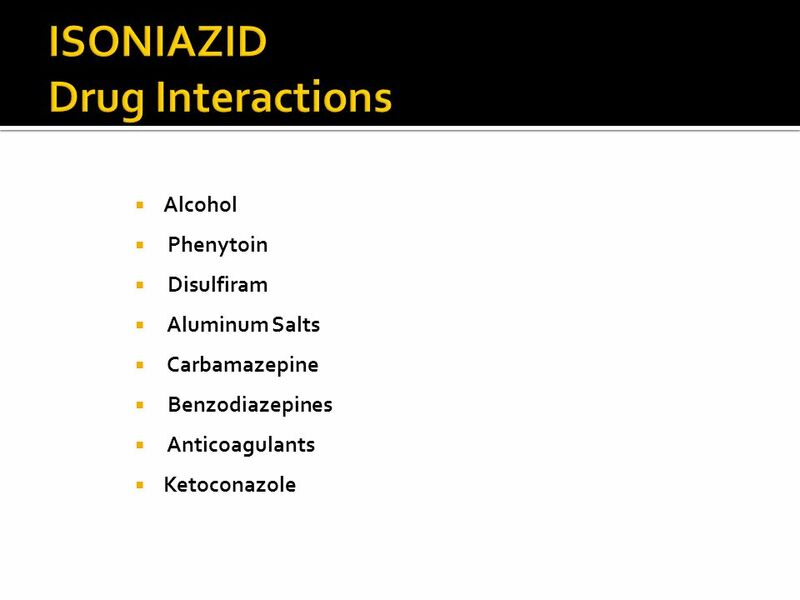 Alcohol Phenytoin Disulfiram Aluminum Salts Carbamazepine Benzodiazepines Anticoagulants Ketoconazole It is necessary to take a thorough medication history before initiating isoniazid therapy. 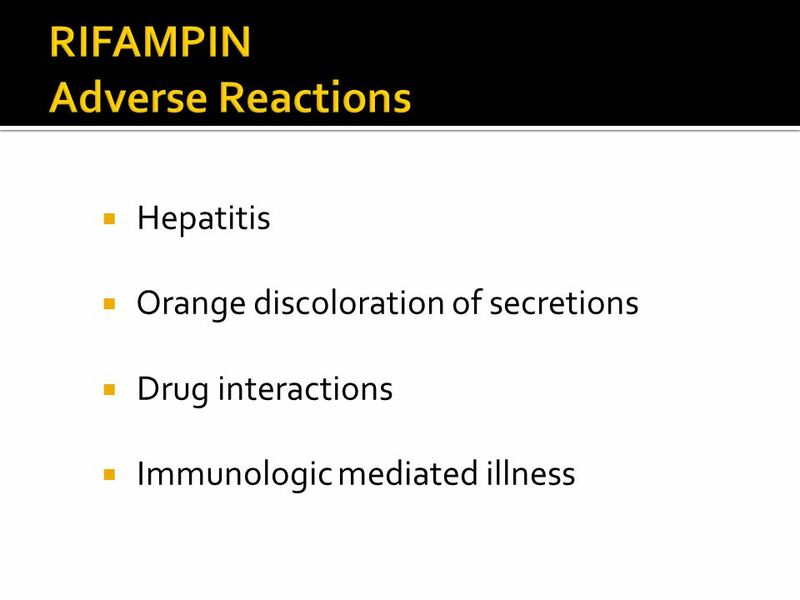 Hepatitis Orange discoloration of secretions Drug interactions Immunologic mediated illness Be sure patient understands the orange coloration of secretions as this can be quite alarming to patients if they have not been forewarned. Immunologic mediated illness is a flu-like syndrome most prominent in people on twice a week dosing. Warfarin Digoxin Beta-blockers Ketoconazole Verapamil Quinidine Methadone Phenytoin. 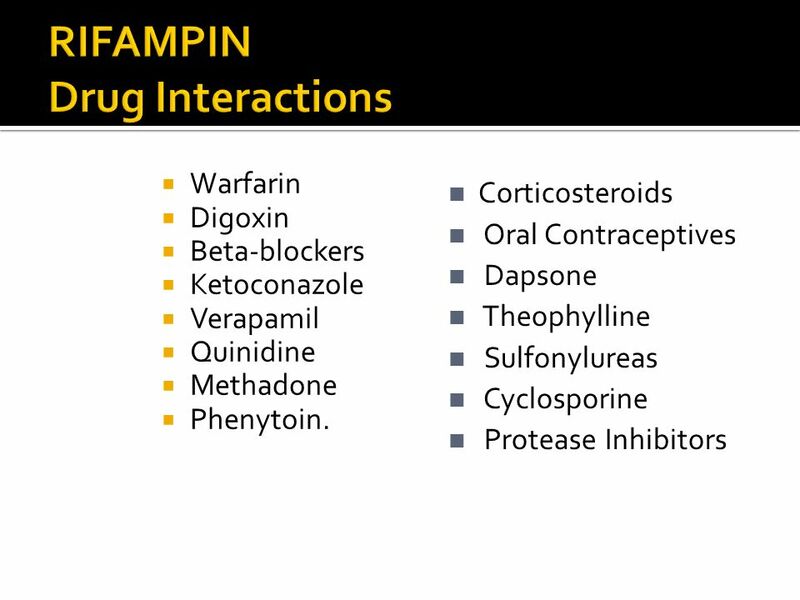 Corticosteroids Oral Contraceptives Dapsone Theophylline Sulfonylureas Cyclosporine Protease Inhibitors It is necessary to take a thorough medication history before initiating rifampin therapy. 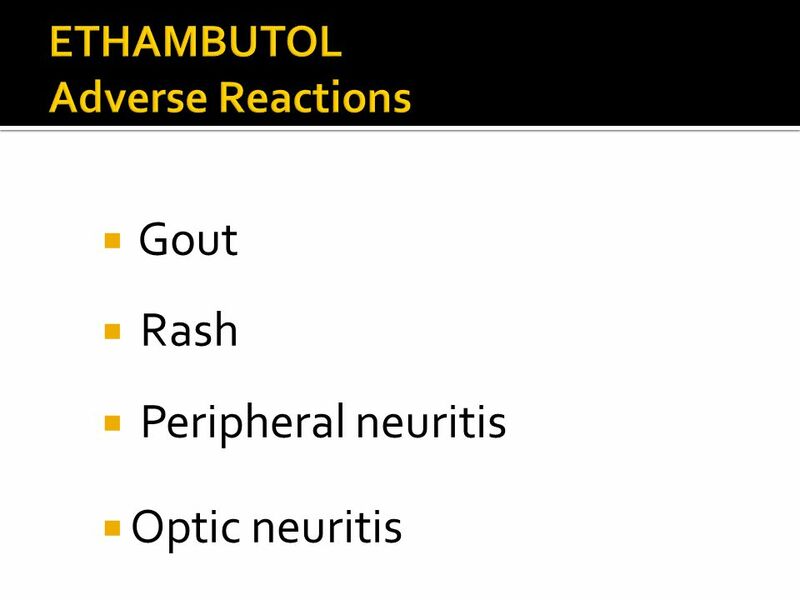 Note: The issue of protease inhibitors is discussed by Dr. Benator. 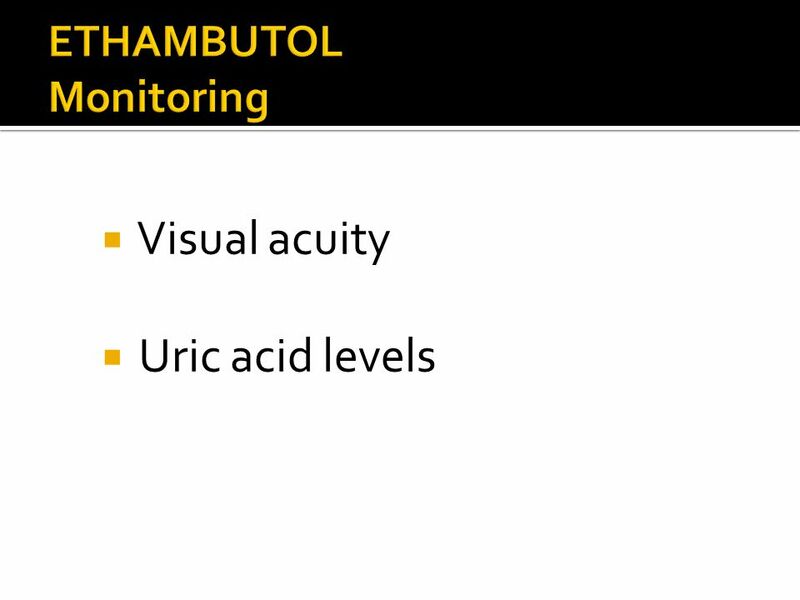 Visual acuity Uric acid levels Monitoring of visual acuity may best be accomplished thought education of the patient concerning ocular toxicity and to have the patient monitor their vision and report to the physician immediately any visual changes and stop the medication until they are reevaluated by the physician. 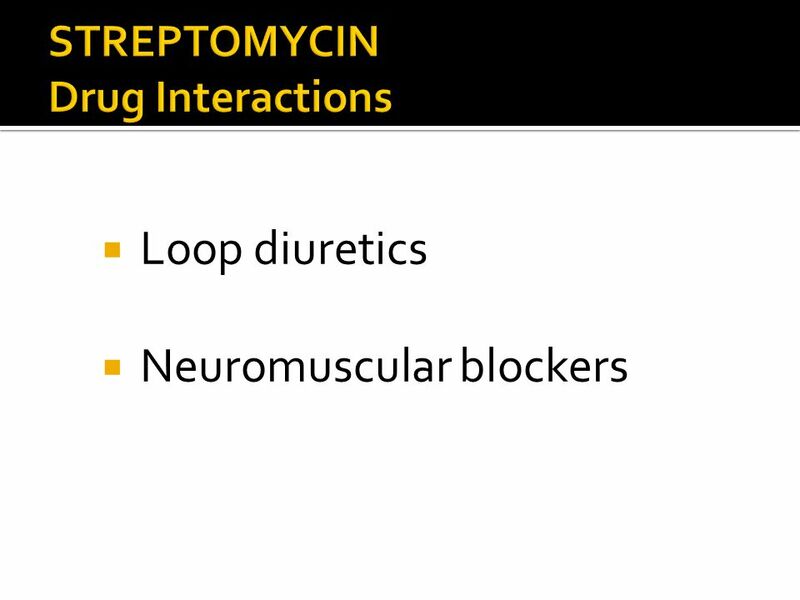 Loop diuretics Neuromuscular blockers Loop diuretics may enhanse the nephrotoxicity of streptomycin. 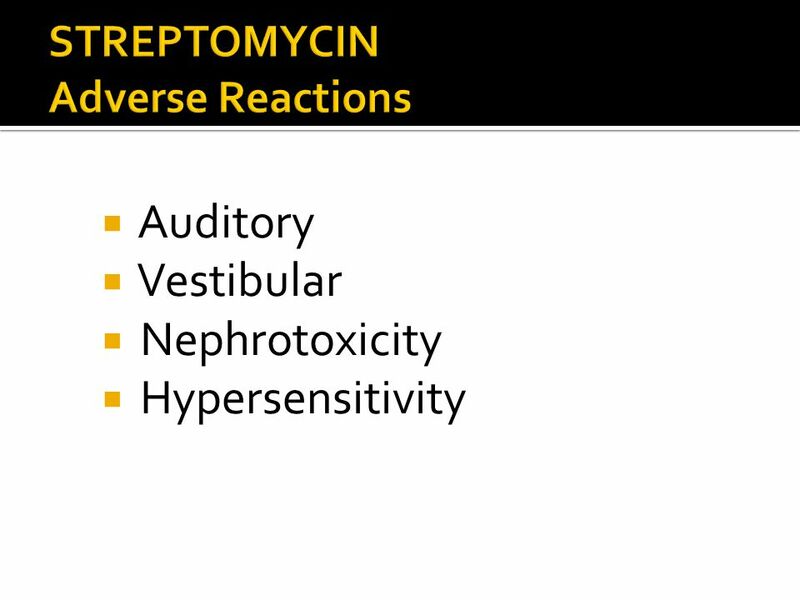 Streptomycin may escalate the effects of neuromuscular blockers and worsen the the condition of patients with certain neuromuscular diseases. 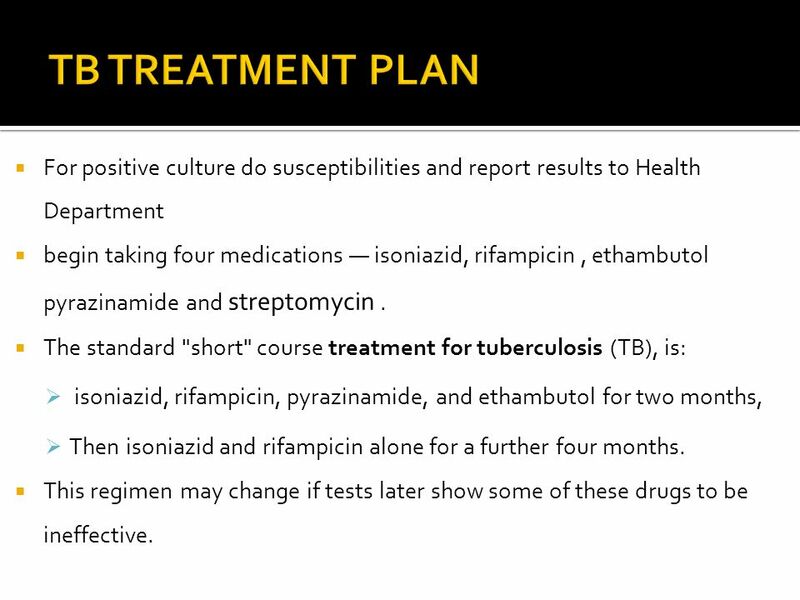 Download ppt "TUBERCULOSIS This is the prompt slide for the TB Therapy section." Precautions Courtesy of Louis B. Mallory, MBA, REMT-P. In The Name of God. 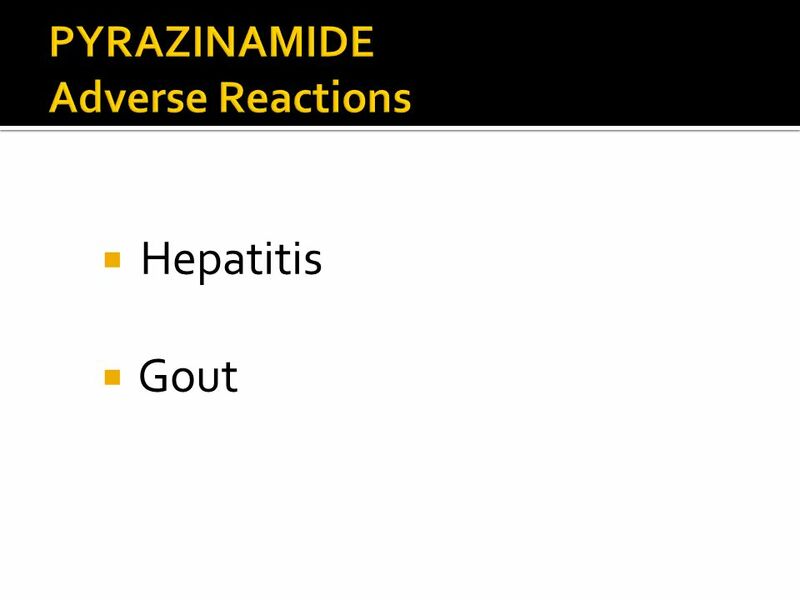 Common Adverse Reactions to Anti-TB Drugs. Patient Initial Evaluation & Follow up. 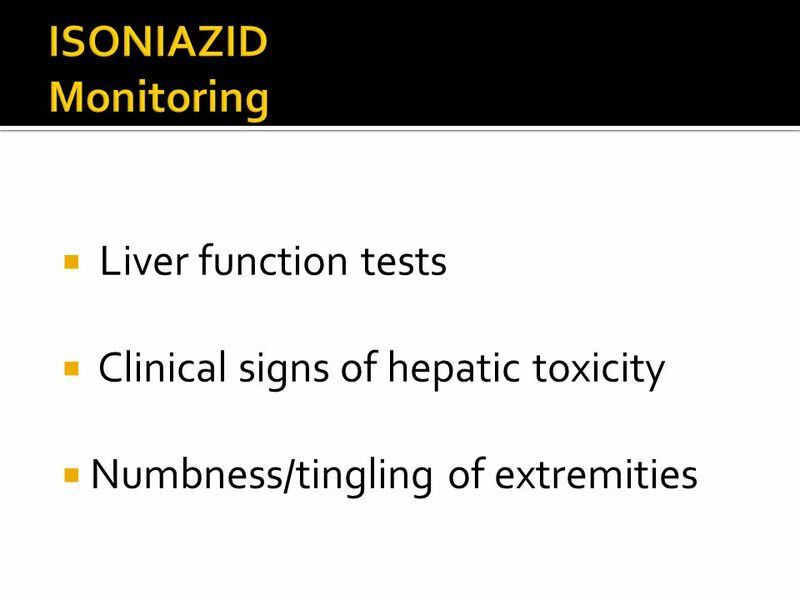 Pretreatment screening and evaluation: Initial evaluation serves to establish a baseline and may identify patients. Why do we test? 1.We want to prevent an outbreak of Tuberculosis in our campus community 2.We want to find those that are affected and get them treated. Unit 8: Complications and Special Situations Botswana National Tuberculosis Programme Manual Training for Medical Officers.  TUBERCULOSIS. 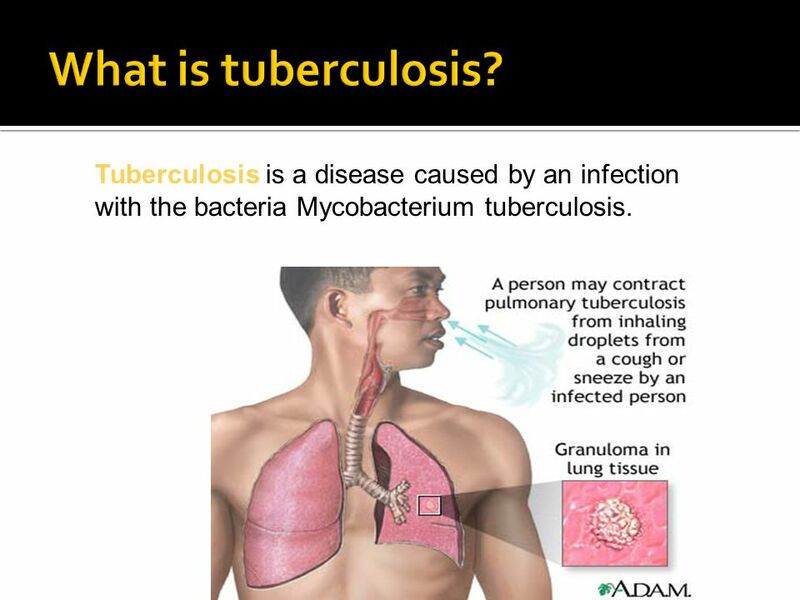  TB is an ancient infectious disease caused by Mycobacterium tuberculosis. It has been known since 1000 B.C., so it not a new disease. Respiratory System Drugs Antitubercular Drugs. Tuberculosis (TB) Caused by Mycobacterium tuberculosis Antitubercular drugs treat all forms of Mycobacterium. 7. 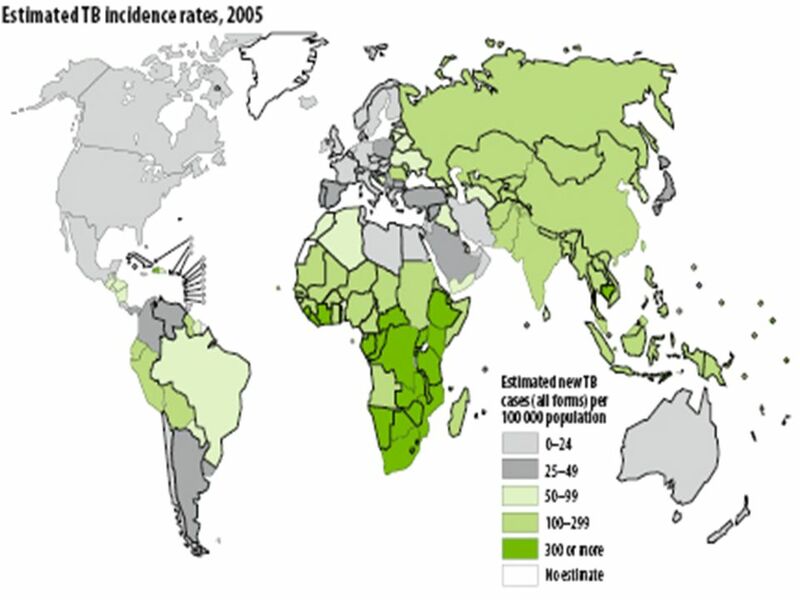 Anti-TB regimen in special situations of liver disease, renal impairment, and pregnancy. Pulmonary TB. BY PROF. AZZA ELMedany Dr. Ishfaq Bukhari. 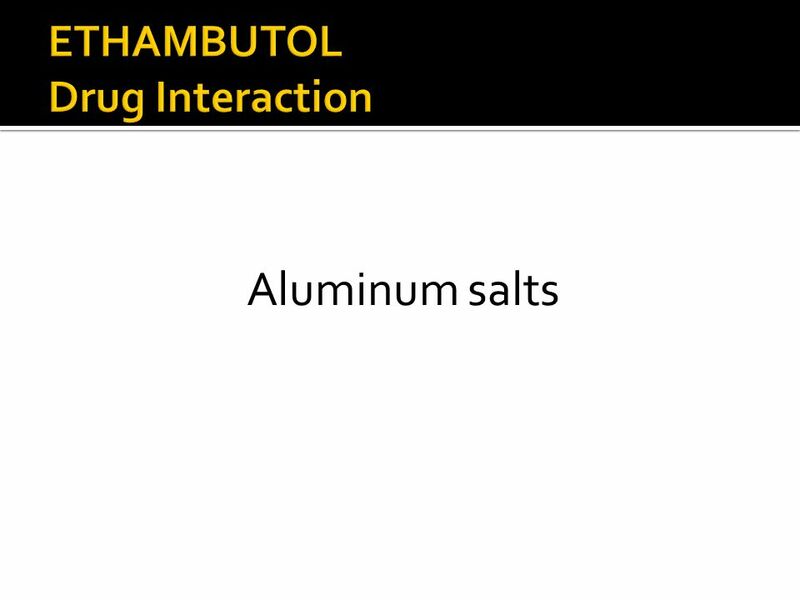 Anti-tuberculous drugs. Mycobacteria Slow-growing bacillusDormant forms in macrophages. Copyright © 2014 by Mosby, an imprint of Elsevier Inc.
Antimycobacterial drugs Tuberculosis Treatment of mycobacterial infections is complicated due: Limited information regarding antimycobacterial drug actions. Tuberculosis Presented by Vivian Pham and Vivian Nguyen. THEME: PULMONARY TUBERCULOSIS ESSAY Kazakh National medical university named after S.D. Asfendiyarov Department of foreign languages Made by: Kalymzhan.